We continued south in Lynn Canal today. An easy trip, except for the dozens of commercial fishing boats and nets I had to avoid. The gill netters are out in force, and weaving through a pack of demands attention. 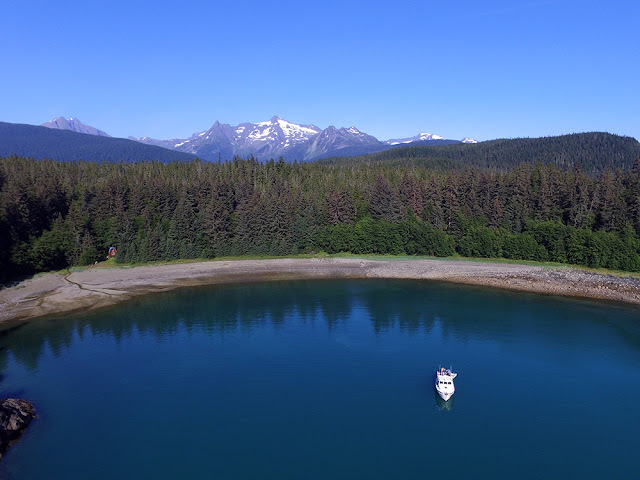 Nets extend several thousand feet from the boats, and when several boats are fishing in close proximity it can be difficult to decipher which net belongs to which boat. Ordinarily I’d just steer around the whole fleet, but today they were blocking the entrance to the anchorage, so through them I went. No boat-on-net contact, either…always a plus. 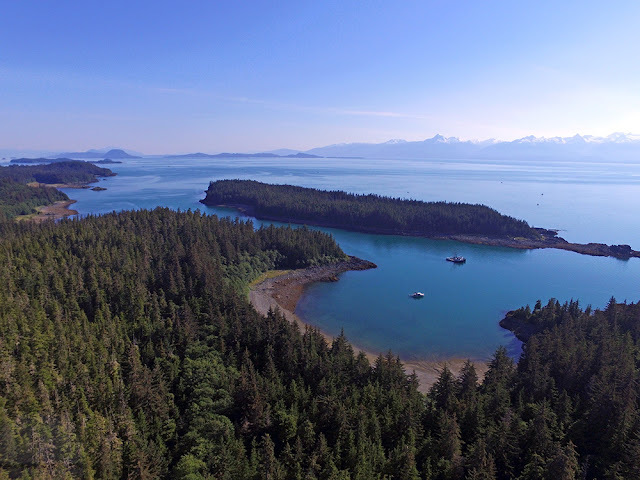 Bridget Cove is another delightful anchorage along Lynn Canal. And it’s shallow! I anchored in 30 feet at the top of a 17 foot tide, excellent holding. The windlass will be happy with me! 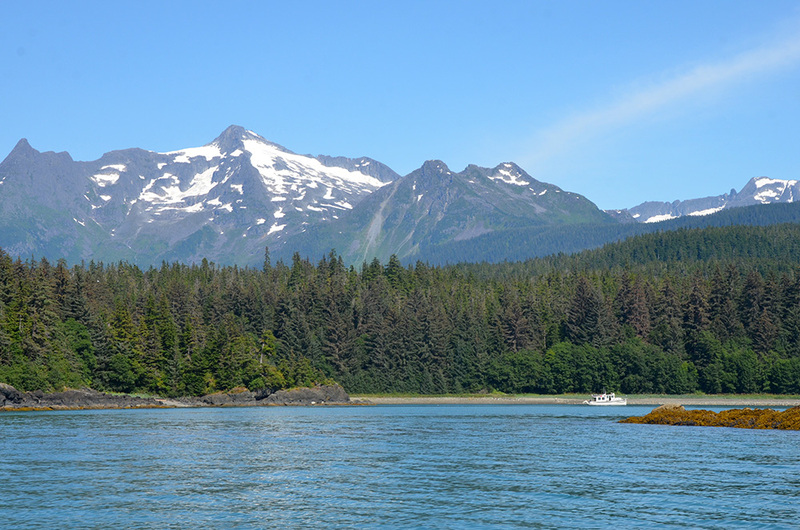 The surrounding land is actually a state park accessible by road from Juneau. Throughout the afternoon we saw dozens of people meandering along shore, quite a change from the more remote anchorages I’m accustomed to. Shallowest anchorage so far this summer. Just 12 feet under the boat at low tide. Given the even warmer temperature today, I had to swim again. Again, the water temp was remarkably mild—somewhere right around 60 degrees. Refreshing! We spotted one whale not far from the boat when we were anchored. We scrambled into the dinghy and zoomed out towards it, but by the time we got there it was gone. Lynn Canal has exceeded my expectations as a cruising area (super scenic, neat town, quite a few anchorages), but it has disappointed in wildlife.